Whats going on everybody I am back at you with another post about my favourite topic, cars. Cars, trucks, quads, scooters, motorcycles, dirt bikes, trikes hell I love them all. But today I want to discuss something that not every car enthusiast has to deal with; Winter. And subsequently winter tires. I bought my first set of winter tires for my 2000 Saturn for about $400 on a deal which isn't bad. But when I went looking for tires for my current car (a BMW 530i) I couldn’t even buy one tire for that. I have had better luck since looking at the second had tire market, my and some friends have found some nice lightly used winter tires. But buying the tires is only step one. If you are lucky enough to have a big garage, a couple decent jacks and the right tools you can easily replace the tires yourself. 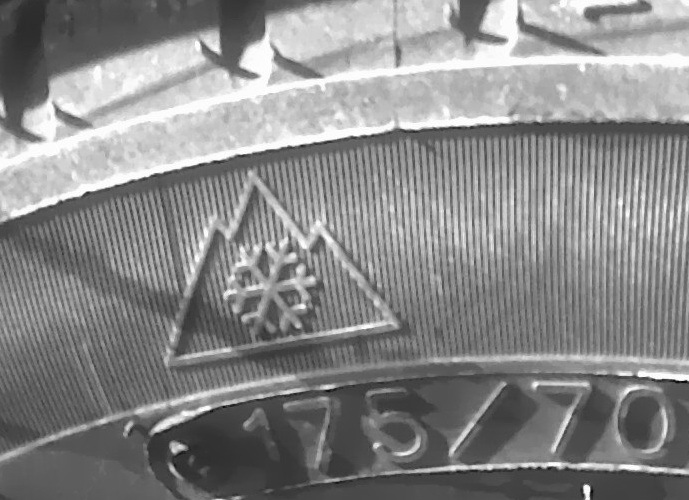 It can actually be a little difficult looking at the tires and knowing if they are a winter, summer, or all year set so some tire companies such as Bridgestone have included snowflake images on the outside of all their winter tires. This also ensure you don't put the tires on backwards although it wouldn’t take too long after to figure that out. After you have put the tires on yourself and tested for safety or had them put on at a reputable shop you are almost ready for the winter. Well you are ready for that thing they call winter in some places in the US and Europe, but not in Canada. When I grew up we had countless days below minus forty Celsius, and even a couple days past minus fifty. When that is your reality you have to do things a little different. For example, I would always have an empty pop can and a tea light candle in my car. Why I can already hear you asking? Well, have you ever been stuck in a car, on the side of a highway covered in snow with 3 hours between you and any rescue? I have and it is one of the worst experiences ever. Huddled in your seat, wrapped in all the clothes that were with you for when you got outside with a tea candle inside a tin can for warmth. This is also where that 6 year old nature valley bar in the glove compartment will come in handy. In reality I would try to keep a bit of honey and peanut butter in the glove box for this. Just get some of those travel shampoo containers and fill them with each. Excellent energy boost when you need a few more hours. Even with proper winter tires, the unimaginable can still happen. My first winter I totalled my car (the previously mentioned Saturn) by simply accelerating too hard on an icy corner and I smashed into the curb breaking my tie rod. Because I was in town this wasn’t too bad, but if it were to happen on the highway it might be hours of sitting there. That's why no matter what you are driving, be it a futuristic Land Rover or a simple 2 door coupe, you need a proper emergency kit. This should include things like an advanced and a simple first aid kit, a collapsible shovel (or entrenching tool), reflective blanket, mirror, spare clothing, crank radio, flashlight, glow sticks, light everywhere matches as well as lots of water. As I mentioned before, honey and peanut butter make great emergency rations thanks to the high sugar and fats. If you have a bigger vehicle, you will also want a bag or two of sand or something else heavy in the back to help with counterweight on icy roads. Overall winter titres are extremely important to us who live in snowy areas. Some places I visited in the summer that I would not be legally allowed to go to this winter without winter tires (this actually started last week as snowstorms in Canada start early.) Of course just because you have tires on (or four wheel drive for that matter)doesn’t mean you are invincible. Every year there is a major collision outside the town where my dad lives because some idiot is speeding up and down the highway right after it ices up and starts a chain reaction. One year I had a work site to get to via this road and it got cancelled for a week because of a 100+ car pile up that took at least 3 days to clear. Things like this are a common occurrence on Canadian roads, especially the busy ones. All it can take is one second, and it doesn't even have to be someone's fault. But buy some winter tires for your car and hopefully it won't be yours.